Relentless Ministries was born out of our desire to “know Jesus and make Him known”, as coined by good friends of ours. The things of this world, the distractions of life, and our focus as human beings are constantly being challenged and pulled away from the Living God. His love, grace, mercy, faithfulness, justice and truth can many times easily fade to the background in a way that it never should. The mission statement at Relentless Ministries is: “Raising Disciples Who Relentlessly Follow Christ”. This has always been our goal and desire, however, over the years we began to see that unless people could really pull away from their every day life, especially young people, it was becoming more and more difficult to help them get to a place where they could just “be still and know that [He is] God” (Psalm 46:10). How many young adults really understand how to read their bible, how to ‘test the spirits’ as 1 John 4:1 commands us to do on all of the things that are being taught to them in church, by Pastors and leaders, organizations, and friends, all in the name of Christ? How many times have you heard someone say that the Bible is just too hard to understand, or they don’t know where to start? 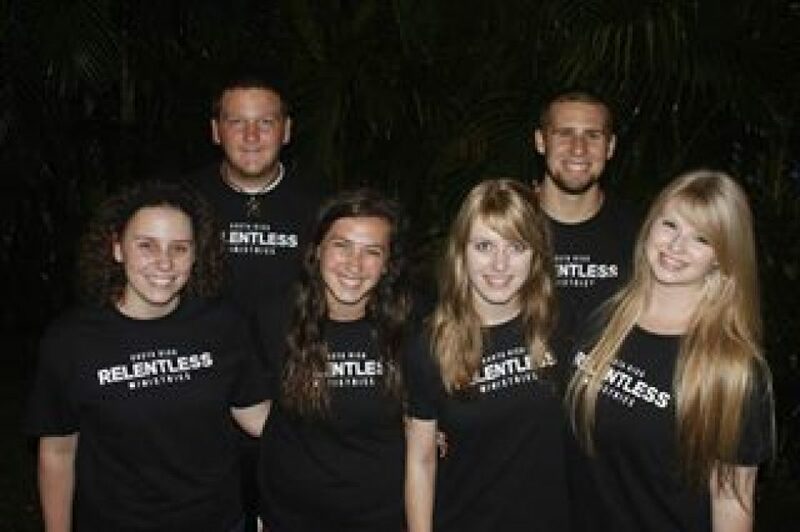 Relentless Ministries discipleship program is designed specifically to allow young adults to ‘get out of Egypt’, so to speak, and come to the beautiful, tranquil surroundings of Costa Rica. Here they can put aside the things that can so easily entangle and learn how to live a life focused on and sold out to God. The time spent at Relentless Ministries focuses on the Biblical narrative in its entirety for a well rounded and complete understanding of the magnificence of God’s holy Word and the scarlet thread that weaves throughout from Genesis 1:1 to Revelation 22:21. Learning how God wants us to approach Him, seek Him, and follow Him are the key ingredients to living a life sold out and fulfilled in Christ alone – that is our vision for the young adults that are join our discipleship program. Interns will benefit not only from the in-house study but by the outreach opportunities to serve the community and practice living out their faith in a multi-cultural setting that supports their entire experience. The language, the culture, and the people of Costa Rica all work in conjunction with the program for an experience that discipleship interns will never forget. The testimonies below are from some of the interns that we have been blessed to have join us. We look forward to knowing God more as we press on as followers of Christ, and have great hopes for all who join us to do the same! Please contact us for more information.